Are You Ready to Stop Labeling By Hand? 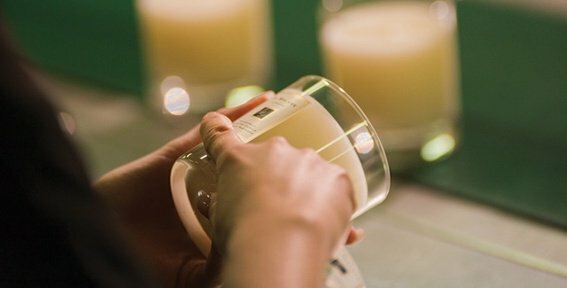 Hand applying labels is the way most companies start out, selling small quantities at a farmer's market, or fulfilling individual online orders for example. Hand applying labels is tedious, leads to waste (damaged labels), and despite all best efforts the labels are not consistently applied. Full wrap labels are even more difficult to align, and film labels tend to trap air bubbles. As your production volume increases and fewer friends and family are willing to join you for a “labeling party”, it can take forever to get through all those label rolls. Or maybe you are just tired of paper cuts, perpetually sticky, aching fingers, and misaligned labels. So what's next? Machine application is a natural next step. Time is money, after all, and the only thing hand application has going for it is the cost: it's free. 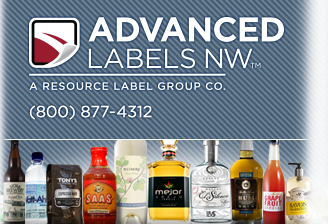 With experience, you can apply between 300-500 labels per hour to a bottle– that's one label on one side. If you have a front label and a back label that number is going to be cut in half. As un-labeled bottles pile up and you're surrounded by a mountain of label liner waste nursing sore fingers, an electronic label applicator starts to look like a sound investment. Before we continue, a bit of clarification. All label applicators are dispensers, but not all label dispensers are applicators. 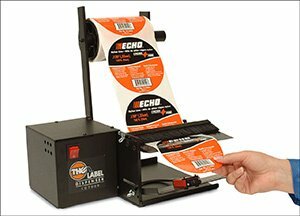 A label dispenser is a piece of equipment that feeds the label roll past a bar or plate to separate some of the label from the liner so you can grab it and apply it by hand. Simple hand-pull dispensers are available for less than $100, and electric dispensers with optical photo sensors can be found for $500 to $800, or more. 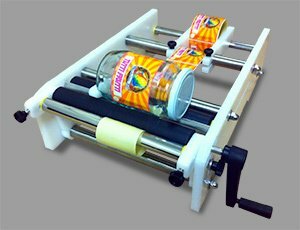 Manual label applicators combine the functionality of a dispenser with a roller that you drag or spin your container across to apply the label uniformly. Labels are dispensed manually, or by advancing the roll through the hand pressure of your container. These applicators are designed for small rolls of labels and eliminate the inconsistency and inevitable waste of hand labeling. Manual labelers can cost between $150 and $2,000 or more, applying anywhere from 500 to 1000 labels per hour. Keep in mind that application speeds for any type of applicator are subjective, depending in large part on the person operating the equipment. 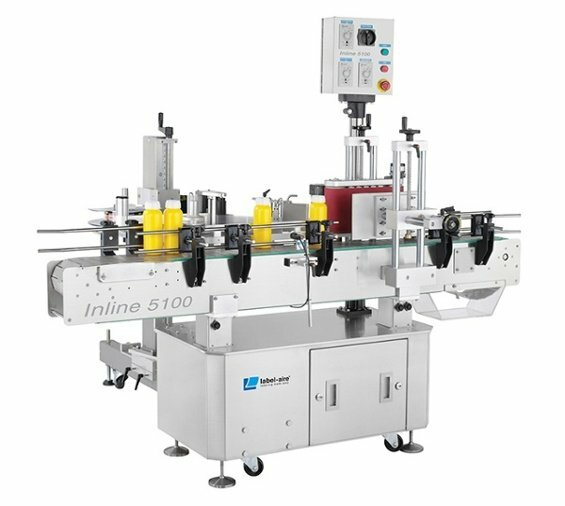 Electronic semi-auto label applicators are available as tabletop machines about the size of carry-on luggage that apply the labels as you swap bottles in and out by hand. Some applicators operate by pressing a foot pedal, some by sensing the insertion of a new bottle. (We're using 'bottle' here but this could be a jar, can, etc…). Some dispense the discarded liner into a heap on the floor and others include a waste rewinder to keep your workspace tidy. How much do they cost? As with most things it depends on your needs. 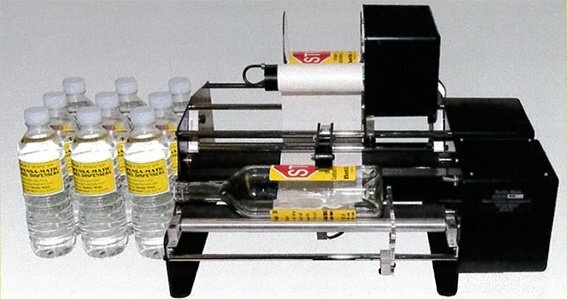 For a tabletop semi-auto label applicator, assume a starting cost of around $500 for very small containers like ejuice or lip balm, and around $1,500 for wine bottle size equipment. These costs can easily double and reach $5,000 depending on features and capabilities. Speeds tend to be around 1200 applications per hour for both a front and back label setup, or 1,800 applications per hour for a single or wrap around label. When considering a semi-auto label applicator, your current specific packaging needs will be a priority. However, some equipment is more versatile and adjustable than others, which will allow you to label additional containers than those you are using now– something you may develop a need for in the future. When shopping for labeling equipment you will want something sturdy that will not wear down or break easily– professional/industrial grade equipment, not hobby products. Adjustment points should be robust, having to fiddle with them constantly to keep everything in line will be frustrating and slow down production. As with any equipment investment, be sure to compare warranty and repair/replacement availability and associated costs. If you are purchasing a used label applicator, be sure parts are still available in the event of a breakdown. With hand application roll diameter, core size, and rewind direction were not critical, so these are likely things you are not accustomed to specifying. If you have a supply of labels on hand that are not compatible due to rewind direction, you can return them to the printer to be rewound to the correct orientation, for a fee. There are a few things to keep in mind when applying your labels. Even in an ideal application environment, it is recommended that newly labeled products are allowed to sit for 24 hours undisturbed in order for the label adhesive to fully cure and bond with the container. Different label adhesives have different temperature ranges for optimal adhesion. 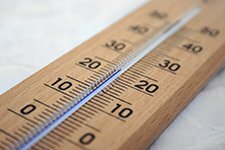 In general, only extreme temperatures will cause an issue, so if you are applying your labels in a comfortable indoor environment you should not have any temperature related issues. If you are cleaning your containers beforehand, be sure they are completely dry before applying your labels. Moisture can interfere with label adhesives, and cleaning solvents can break down the adhesive if they are still present when you attempt to apply your labels. 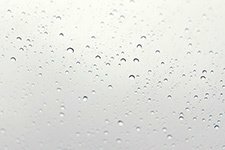 Introducing cold bottles to warmer rooms can create subtle condensation. Highly humid environments can also effect label application, so if you know you will be applying labels under these circumstances your label printer can recommend an appropriate adhesive before printing takes place. It's important to start with a clean application surface. Greasy fingerprints and dust can effect label adhesion. Your containers do not need to be spotless, but watch out for debris and grease to ensure a solid bond between the label and your bottle. Virtually any labeling machine is going to be a significant improvement over hand labeling, both in consistency and speed. In any situation where a group of your labeled products will be displayed, hand labeling is going to diminish your brand presence. For a small investment, quality and consistency can be achieved, and very likely at a significant increase in speed. A wide range of prices, capabilities, functionality, and adaptability exists with all label application equipment. Most applicators tend to be specialized– designed with a specific product and application in mind. What About Fully Automated Labeling Machines? For large scale operations, fully automated labeling equipment is available. Costs vary widely from around $15,000 to hundreds of thousands of dollars depending on sophistication, speed, and scale. These are big, dedicated machines that typically require a trained technician to operate. Warranty and service contracts are important in the event of a breakdown, considering you likely will not be able to repair the unit yourself. When stepping up to fully automated labeling, consider your current production volume as well as future growth. Ideally your purchase will be able to to meet your current needs, and you will be investing in something that will allow for growth in the foreseeable future. 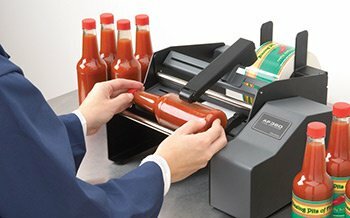 Labels are dispensed at the same speed as the product conveyor and smoothly applied with an applicator brush (A). Labels are held against an extendable applicator surface by vacuum pressure. As the products pass by on the conveyor, the application head (B) extends to quickly and precisely blow the label into place. Similar to Tamp Blow, the Air Blow method uses vacuum pressure and blown air to affix the labels. Unlike Tamp Blow, the Air Blow applicator (C) is in a fixed position, preset to sit precisely above the products as the pass on the conveyor. Each fully auto label technique is accurate and efficient, and the choice between them will depend on your production line configuration and equipment budget. The labeling heads are modular parts of the entire automated setup, so they can be utilized with stand alone labelers or integrated into an existing production line.